Mt. 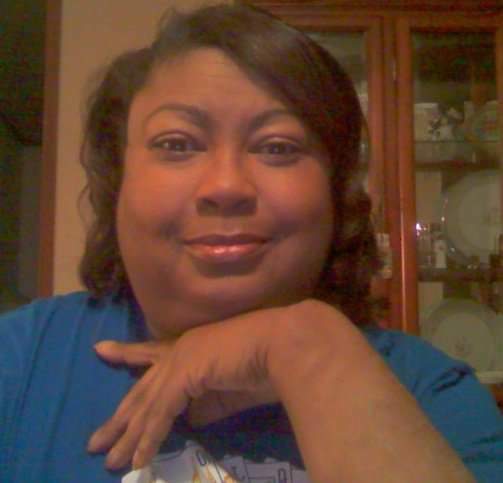 Olive - Ms. Romona Valrica Goodman, 52 of 949 Stanley Chapel Church Rd., transitioned Tuesday, November 13, 2018 at her home. Born in Washington, DC, she is the daughter of Nellie Mills Goodman and the late Jesse Goodman Jr. Her love and legacy will forever be cherished by her daughters, Racheal Goodman and Nyshanti Alston; her mother, Nellie Goodman; brothers, Gregory Goodman and Jesse Goodman; nieces and nephews, Ashley Hutchings, Tiana Bias, Destiny Goodman, Justin Goodman and Alexia Moorman and a host of other relatives and friends. In addition to her father, she has been reunited with her daughter, Erica Goodman.